In a 2009 special report on LEED Systems and Roofing Certification, the Center for Environmental Innovation in Roofing (CEIR) told how institutional and commercial facilities can use their roofs to highlight green initiatives by adopting rooftop energy-production technologies like microturbines and photovoltaics (PV). CEIR said that although the cost of PV is approaching grid parity, electricity generated through solar panels still costs more than utility power, and that a building’s energy efficiency must be optimized before moving on to alternative generation. But why wait for optimal energy efficiency of your building if you can make a beautiful statement with a super-efficient new design? 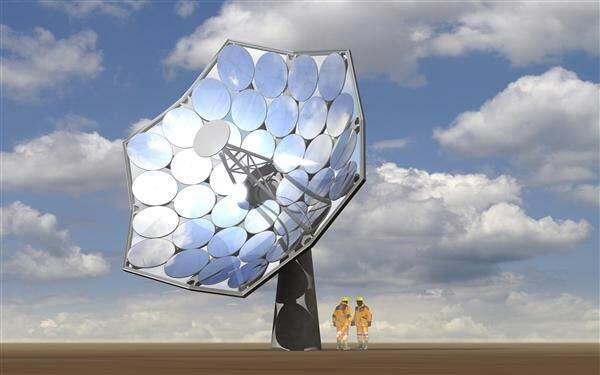 Gianluca Ambrosetti, the head of research at Zurich's Airlight Energy, in collaboration with IBM Research, has designed a way to combine solar-electric and solar-steam into one gorgeous hyper-efficient bundle. 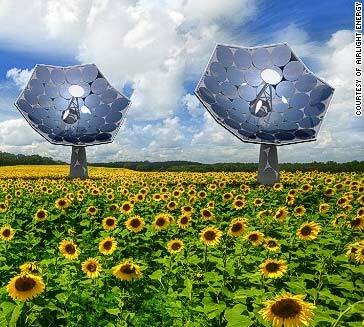 Airlight Energy expects to start selling Solar Sunflowers to early adopters in 2016, with a plan to ramp up commercial production by 2017. There's no official price yet, but some estimates put the price at $45,000 apiece. Make one of those the center of your rooftop greenspace, and you’re well on your way to reducing your building’s energy needs. According to the LEED Systems and Roofing Certification Special report, a traditional rooftop photovoltaic installation can usually provide between 10 and 20 percent of a building’s energy needs, says Ken Beiser, Tecta Solar, managing director. Even though this is a relatively small percentage, it can serve as motivation to drive efficiency elsewhere in the facility, so that the same capacity can provide for a greater percentage of need, he says. This Quick Read was submitted by Renee Bassett. 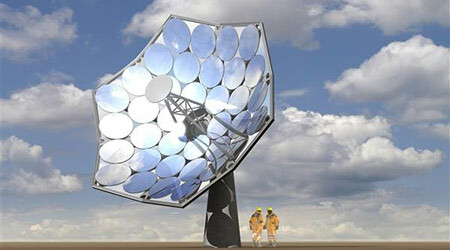 Find out more about solar sunflowers from Airlight Energy and IBM Research. Find out more about LEED Systems and Roofing Certification here.